When shopping for life insurance for seniors, it can sometimes be a bit tricky to locate the best coverage at the best premium price. This is because there are many variables to contend with - including the individual's older age, coupled with the potential for adverse health issues. But even if you've been turned down for life insurance coverage in the past, getting life insurance for seniors is not only possible - but it can be very attainable - provided that you know where to look. One thing that many people may not realize is that, even though most life insurance companies have some manner of evaluating an applicant before approving them for coverage, all insurers' guidelines are not identical. Therefore, what may constitute someone to be denied at one carrier may be perfectly acceptable at another. This means that it is important to continue looking for the coverage that you need. Working with the right type of company or agency - one that has already done the shopping for you - can help you to save a substantial amount of time and frustration throughout the application process. This means having someone who can point you in the right direction regarding where to start applying for the coverage that you are most likely to be accepted for. This should ideally begin with the types of life insurance that are most suitable for the senior market. While many seniors can apply for traditionally underwritten life insurance coverage, there are also several types of life insurance policies that are specifically geared towards the senior market. This is because these particular policies tend to offer certain benefits that, for one reason or another, may be more beneficial to those who are in the older age category. One type of life insurance policy that is targeted towards seniors is burial insurance. This type of coverage - also often referred to as funeral insurance or final expense life insurance - is typically purchased with the intent of covering a person's funeral and other related costs. Today, the price of an average funeral can be in excess of $10,000 in the United States - especially when you include many of the associated expenses such as flowers, transportation, a burial plot, and headstone. Because many families and loved ones do not have this amount of money readily available for paying a decedent's funeral bills, burial insurance is a popular form of coverage - and it can oftentimes be purchased for less than regular life insurance coverage. One reason for this is because the face amounts of these policies are usually lower - in the range of between $5,000 and $50,000 on most plans. In keeping the premium low, burial insurance can be affordable for many seniors who are living on a fixed retirement income. Burial insurance coverage is sold to those who are in the age range of between 50 and 80 years old - although there are some life insurance carriers who will offer their policies to applicants who are older. In many cases, this type of coverage can be easier to qualify for than traditional life insurance, too. This is because many burial life insurance policies do not require that the applicant undergoes a medical exam as a part of the underwriting process. Without the need to do this, even those who may have certain types of adverse health issues may be able to qualify. Another type of life insurance that is common with the senior population is guaranteed issue life insurance. This type of coverage also requires no medical exam from the applicant in order to qualify for coverage. Therefore, those who have health issues can still obtain insurance - provided that they continue to pay their premium. Similar to burial insurance, the death benefits on guaranteed issue life insurance are typically smaller than those of many traditionally underwritten policies. This is because these plans are usually purchased with the intent of paying off the insured's final expenses, such as the cost of their funeral and other related costs. Guaranteed issue life insurance is often sold as a permanent form of coverage. This means that the insured will obtain death benefit coverage, as well as a cash value component. The cash value will continue to grow over time, and the gains in the cash value are allowed to grow on a tax-deferred basis. This means that no tax will be due on the cash value growth until the time they are withdrawn. With a permanent policy, it also means that the premium for the coverage will be locked in, and it won't go up. This can be a big advantage - especially for a senior who may be living on a tight budget due to a fixed retirement income. In addition, the life insurance company typically is not able to cancel this type of coverage unless the policyholder ceases to pay the premiums. It is important to have a good understanding of how the death benefits will be paid out on a guaranteed issue life insurance policy. This is because, in some cases, these plans may have what is referred to as graded benefits. With graded benefits, the entire amount of the stated death benefit may not be paid out to the named beneficiary if the insured dies within the first few years of owing the policy. In this case, for instance, if the insured dies within just the first two or three years, the beneficiary may only receive a return of the premiums that were paid in (and possibly a small amount of additional interest from the insurance company). If, however, the insured lives past the first few years and then passes away, the entire amount of the death benefit will be paid out. Oftentimes, guaranteed issue life insurance is considered to be the last chance type of coverage. This is because the premiums can be quite a bit higher than that of comparable coverage that is traditionally underwritten. The reason for this is due to the fact that the insurance carrier is taking on much more risk with the applicant. Alternatively, though, in some cases, this may be the only opportunity that an individual has to obtain life insurance coverage. These policies are frequently purchased by someone looking for life insurance after 80 years of age or a person in poor health who is over 70 and looking for a policy. In many cases, a regular permanent life insurance policy may be a good option for a person who is a senior. There are several reasons for this. First, once an individual qualifies for permanent life insurance coverage, the premiums are locked in for the remainder of the life of the policy. Therefore, this makes it extremely easy to budget for, knowing that the policy's premium will not go up - regardless of the insured's increasing age, and regardless of whether he or she contracts an adverse health condition. Also, with permanent life insurance - unlike term insurance - the policy will not have to be renewed. This is because, as the name implies, permanent life insurance does not expire. Rather, these policies are designed to last for the remainder of the insured's life. With a permanent life insurance policy, the insurance carrier may not cancel the coverage, unless the premium ceases to be paid. Permanent life insurance can provide other benefits, as well. For example, because this type of coverage includes a cash value component, an insured can build up savings on a tax-deferred basis to use for a number of needs, such as paying off debts, funding a child or grandchild's college education, or supplementing retirement income on a tax-free basis. The funds that are inside of the cash value component are able to be borrowed or withdrawn and can be used for any need that the policyholder sees fit. These funds are not required to be paid back. It is important to note, however, that any amount of unpaid balance will be charged against the death benefit that is paid out to the policy's beneficiary at the time of the insured's passing. The death benefit will, however, go income tax-free to the beneficiary just as with other types of life insurance policies. 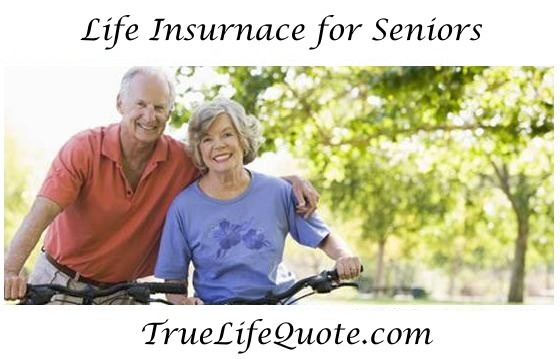 We frequently see people who are over 50 looking for life insurance in this category. Also people who are in good health and looking for a policy in their 60's will frequently qualify at standard rates for permanent coverage. If you're a senior and you're considering purchasing life insurance coverage, there are some guidelines to keep in mind. Today, people are living longer than ever before - and because of that, it will be important to have the coverage that you need in order to protect the ones that you love from financial hardship. There is good news in that because of our longer life spans, the risks to life insurance companies are getting lower - and that is helping to keep the cost of life insurance coverage lower. With that in mind, you may be able to purchase the policy that you need at a price that is more affordable than you may have originally thought. Before applying for a policy, it is important to be prepared. This means that you will want to have a good idea of the type and amount of coverage that you will need. Knowing these thing ahead of time can keep you from purchasing too little - or too much - in life insurance coverage. Either of these can turn out to be a costly mistake. You will also want to be prepared with any of the personal and / or medical information that you may be asked for by the insurance company. Having this readily available can make the application process - and thus, the potential process of policy approval - go much faster. When searching for premium quotes on life insurance for seniors, going to just one single insurance company is typically not going to be your best option. Rather, working with an independent agency or company that has access to more than just one carrier is instead the better alternative. This is because you will have the opportunity to compare multiple insurance companies, policies, benefits, and premium quotes all in one convenient place - and from there, you can then make a determination of which one will be the best for you and your situation and needs. If you are ready to begin comparing life insurance coverage for seniors, we can help. We work with many of the top life insurance carriers in the industry today - and we can assist you with finding the very best plan for you and your specific requirements. We can do so for you quickly, easily, and conveniently - all from your home computer, and without the need to even meet in person with a life insurance agent. When you are ready to begin the life insurance comparison process, all you have to do is get your initial quotes by filling out the form on this page. Should you find that you have any questions at all regarding finding the best life insurance for seniors - or even if you just simply have a questions about life insurance in general - we have experts who can walk you through the answer to any question or concern that you may have. So, please feel free to contact us. We can be reached directly via phone, toll-free, by dialing 877-235-9299. We're able to provide you with assistance on topics such as what is the right type of coverage for you, as well as how much is the best amount of coverage to purchase. We can also work with you on determining which of the many carriers in the market place will be the best one for you. We understand that searching for life insurance can be overwhelming - especially if you have been turned down for coverage in the past. But having an ally on your side who can walk with you through the process can make the journey easier. So, contact us today. We're here to help.